Add a little romance to your life with this beautiful ring from Alex Monroe. 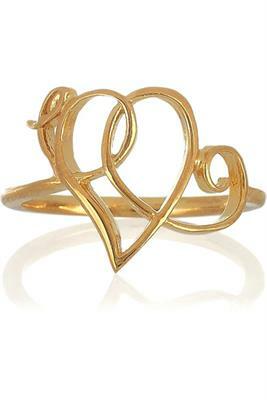 A delicate 22ct Gold Plated band is twisted into a heart shape to create an elegatnly simple ring. Dimensions: Available in UK size O.